Excess material adds instant dimension, detail and femininity to any outfit. That's exactly why ruffles have been packing extra volume for the past few seasons. Little white dresses, cropped tops and lightweight, easy-breezy blouses have been our favorite victims for the Spring and Summer. 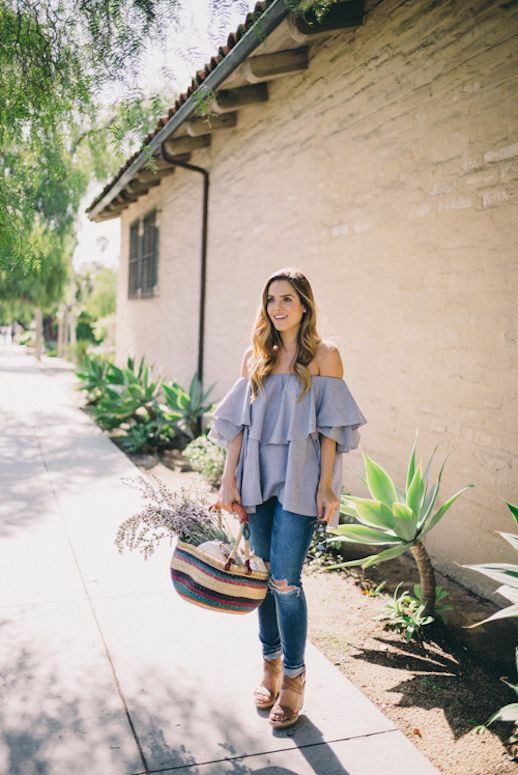 If you're still not sure how to style this romantic trend, go easy with a pair of fitted skinny jeans, sandals and a fun tote with a pattern like fashion blogger Julia Engel.